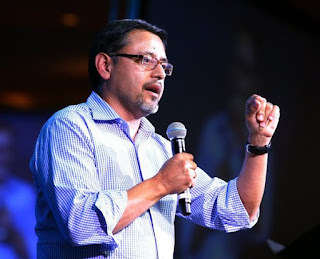 Noel Castellanos, ’82, founder of the Latino Leadership Foundation and President and CEO of the Christian Community Development Association, will give his address, “Buen Camino: Are you Ready for the Journey?,” at Whitworth University’s 126th undergraduate commencement. Castellanos will address Whitworth’s undergraduate Class of 2016 on Sunday, May 22, at 3 p.m. at the Spokane Arena, located at 720 W. Mallon Ave. Castellanos will speak to approximately 648 undergraduate students receiving degrees this year. During the undergraduate commencement ceremony, two students will receive the President’s Cup award for their exceptional academic success at Whitworth. This year’s award recipients are Luke Olsen and Kathryn Cunningham. The Whitworth Servant Leadership Award, which honors a graduating senior who has exhibited an extraordinary commitment to serving the campus and the larger community, will also be given during the ceremony. Whitworth Commencement Week will begin Friday, May 20, at 5 p.m. with an ROTC (Reserve Officers’ Training Corps) commissioning ceremony. Other events include the English department senior reading, May 20 at 6 p.m., and the senior honors recital, Saturday, May 21, at 3 p.m. For complete details on Commencement Week at Whitworth, please click here for undergraduate activities, and here for graduate activities. Whitworth President Beck A. Taylor will speak at the University’s graduate commencement ceremony on Saturday, May 21, at 10 a.m. in Whitworth’s Cowles Auditorium. He will present, “Living the Virtues,” to approximately 109 graduate students receiving master’s degrees in arts, education, teaching, business administration, international management and theology. Retiring Professor of Biblical Studies Roger Mohrlang will offer the homily, “Life is Short – Don’t Blow It,” for the annual baccalaureate service on Sunday, May 22, at 10 a.m. in the Whitworth Fieldhouse. Anthony Silecchia, commencement coordinator, Whitworth University, (509) 777-3205 or asilecchia@whitworth.edu.